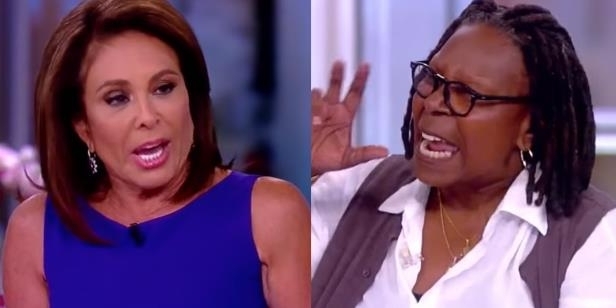 By now, most have heard about the insane rage Whoopi Goldberg went into at Janine Pirro (Judge Janine) on the View after Pirro was invited on the show to discuss her latest book Liars, Leakers, and Liberals . It didn’t take long before Pirro made the rounds on many television shows to discuss the attack, being on Sean Hannity’s newscast on FOX that very night and appearing on various other shows the next day. We’ve seen the video of the segment where Goldberg went into an insane rage that was reminiscent of that seen in drug addicts and alcoholics when they need their fix, but according to Pirro, Goldberg’s insane rage did not stop in front of the cameras. During the commercial break, Pirro says she left the set going downstairs where Goldberg came running after her yelling “F you, F you,” only inches from her face and yelling “Get the F out of this building” several times. During the off stage rage, Pirro says Goldberg spit on her, but it is unclear whether it was intentional or a product of the close face to face tirade. Judge Jeanine called Goldberg’s outburst “Trump Derangement Syndrome” that is also seen in many other individuals as well. I and many others have experienced this psychotic display of rage from Leftists when discussing politics. It is like someone threatens their whole perspective on their existence, then they fly off the handle in an insane tirade. This type of behavior is seen in many mental patients at psychiatric hospitals suffering from a variety of conditions, but is more often a symptom stemming from medication. There are many medications which cause a triggering effect of psychotic violence in individuals. Dependency on illegal drugs is the leading cause, but other psychotropic medications such as Xanax, Prozac, Lexapro, etc given for a number of mental disorders such as depression, anxiety, bipolar disorder, paranoia, and many other psychiatric conditions. These drugs became widely used in the early 1990s. The triggered violent outbursts seen like that in Whoopi Goldberg has also been widely viewed in politicians, the paid political protesters, and some in the media. 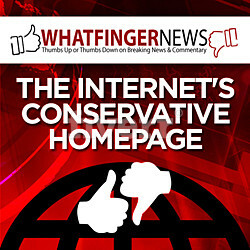 Sane people do not act like Maxine Waters, Nancy Pelosi, Al Green, many in the entertainment industry like Rob Reiner , Alec Baldwin , and Michael Moore who seem to have lost a grip on reality most of the time, seem confused, and or paranoid about imaginary threats which result in them issuing threats themselves. On the other hand, this psychosis displayed by those on the Socialist Left is congruent with the attitudes and overall mindset found in followers of a cult. In a cult, religious or otherwise, followers will fall into an almost trance-like state, in a belief of their found Utopian vision of an ideal new self in which they believe they can attain by following the cult’s teachings and philosophy. When this belief is challenged, they will either shy away from the source, deny it, become delusional, feel threatened by those who question their beliefs and often issue threats of their own, and or become violent in nature, verbally, or physically. This cultist mindset is seen on a daily basis from all the before mentioned individuals and was recently on display during the Congressional hearings with Rod Rosenstein and Peter Strzok. Both of these guys provided an excellent display of what would be expected from a cultist when confronted with reality. 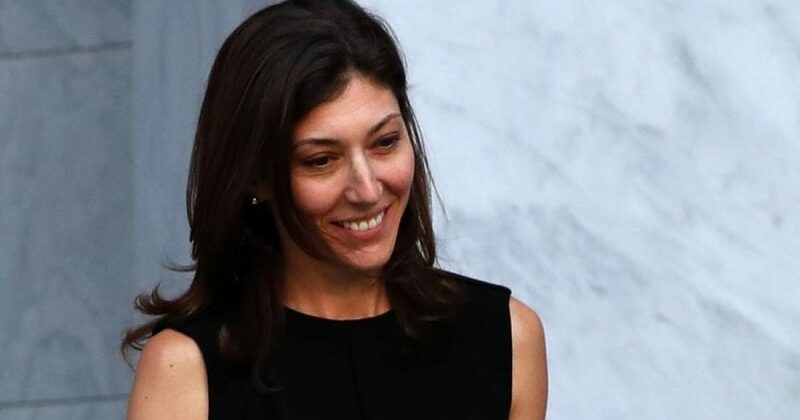 Peter Strzok was the most interesting in that his facial expressions showed he is in the upper branch of the cult in a teaching aspect, rather than a follower because he knew his lies would someday come into question. Whether you believe in Christianity, or not, you have to admit that what we are experiencing now, along with all the anti-Christian things Obama did during his reign, like trying to replace Christianity with Islam, removing anything to do with the Bible, attacking anything resembling American Patriotism, being completely anti-Israel, and the approval of Satanic monuments and temples around the country by progressives via Obama’s complete approval, really resembles Satanism in every aspect. This Satanist-like agenda, introduced by Obama, could be the very reason this man has had his personal records sealed, to prevent his cultist Satanic background from being found out. The epicenter of speculation for the rich and powerful linked to Satanism is Bohemian Grove where several US presidents and elected officials have been noted for attending the annual meeting there. We know George H W Bush attends. Hillary Clinton has also attended, according to news released by Wikileaks, and of course, Barack Obama among many in the US government. The mania and corruption seen today in the US may be just the tip of the iceberg to what is really going on in this country. It could be that we have many who have problems with psychotropic drugs, or we may very well have a problem with corruption associated with a massive satanic cult nationwide, or both.